Metatron [Meads of Asphodel] has long been involved in the British scene and has worked with the likes of Huw Lloyd Langton and Alan Davey [Hawkwind], A.C.Wild [Bulldozer], Hoest [Taake], Mirai [Sigh], Vincent Crowley [Acheron], Paul Fox [The Ruts], Deorth [Ragnarok], Rob Miller [Amebix], Paul Carter [Thus Defiled], Alisa Coral [Space Mirrors] and not wanting to take the Meads into the Pagan Metal realms, the birth of The Wolves of Avalon, was always going to happen. #### The bands debut album, 2011?s Carrion Crows Over Camlan, was a concept album dealing with the time of around 500AD. Reflecting on a period that existed after the Romans were recalled to defend their homeland from the Barbarian migrations. The same land hungry hordes that were to engulf the warriors and tribes of Britain. 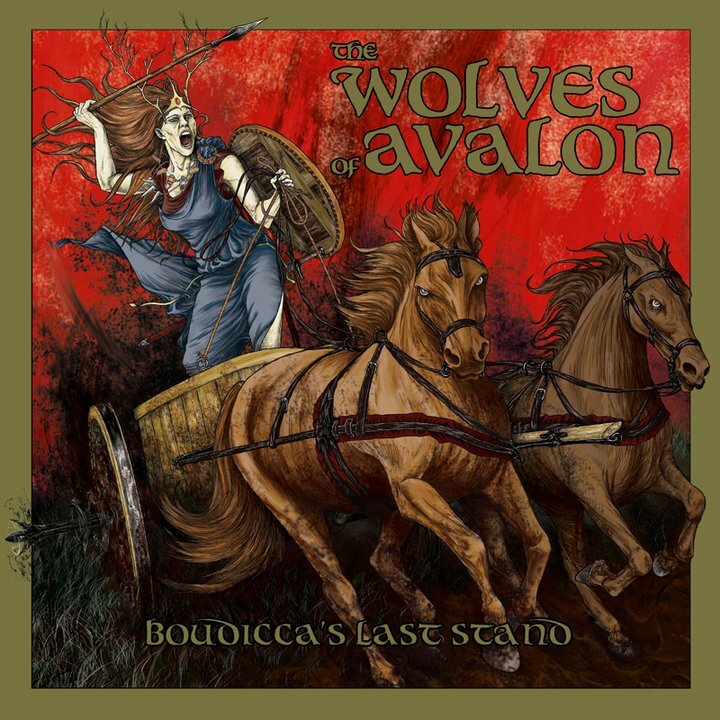 #### The second album from English Celtic / Pagan Metal band, The Wolves of Avalon, is a smouldering echo from a time when there was no England, Scotland or Wales, only the forest clad isles of Britain. #### A Pagan land of tribal conflict and woad painted warriors, now lost in the corrosive passing of time. The album deals with one of the great British war leaders, Boudicca, a Queen who stood against the might of Rome shortly after the great druid sanctuary of Ynys Môn was ruthlessly destroyed and the very heart of druid culture wiped from the face of the Earth. #### Continuing the bands atmospheric use of flute, mandolin and violins, the band have introduced cello and accordion to enrich the olden age atmospheres further. Lyrically, Metatron?s embodiment of classic verse brings to life flesh tearing slaughter and clamouring battle carnage, interwoven with coarse narratives and a collision of guest vocalists, [including Thurios from Drudkh/ Astrofaes, Mirai [Sigh] and Hildr Valkyrie from Folkearth], bleeding vociferous angst into the music?s organic soul. The bands engine room of Alan Davey?s [ex Hawkwind] bass, Steve Clark, percussion and major song smith, guitarist, J. Marinos, hold the multi faceted audio experience together in a typically British sound. #### The Wolves of Avalon continue the great tradition of British bands, Sabbat and Forefather, as well as Irish cousins Mael Mordha, who all incorporate strong historical themes in their music.